Enter the first three characters of the Identification Number from your member ID card. If you receive insurance through an employer, please enter the ZIP code or select the state of the employer’s headquarters to view the BCBS companies serving that region. If you need further help identifying your BCBS company, please contact the employer who provides your insurance for assistance. Blue365® offers our members access to exclusive discounts on health and wellness products and services. If you are moving to a new state, changing jobs, out of work, or your employer has stopped offering insurance, Blue Cross Blue Shield can help. Find information for Individuals & Families or Employers. You can also visit AskBlue® or call 888.630.2583 to learn about your coverage options. 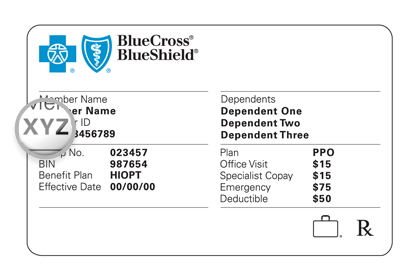 Contact your Blue Cross Blue Shield company to explore your coverage options. Blue Cross Blue Shield members have access to medical assistance services, doctors and hospitals in most countries around the world. To learn more about your international coverage visit BCBS Global® Core or contact your local BCBS company.